Poor old Cotton Hawes. It seems that he can’t interview a woman about a case without falling in love. He even gets things going with the widow of Sy Kramer, a blackmailer who has been gunned down roaring twenties style in the middle of the city. When Hawes turns up and is mistaken for the plumber, gets himself soaked while fixing the shower and has to remove his shirt to dry off, we find ourselves in a classic scene. There’s humour, a flavour of noir, character development by the bucket-load and all the while there’s forward movement for the plot. In other words, it’s typical McBain. And highly entertaining fiction. The case of Sy Kramer is an interesting one. They guy has landed some big cheques over a year and he’s spent extravagantly and with taste. In the course of the investigation, we discover there are three main sources of income. He’s been blackmailing the owner of a lemonade factory who had a rodent problem, the wife of a politician with a history as a model and a third from an unknown source which was the most lucrative of the bunch. 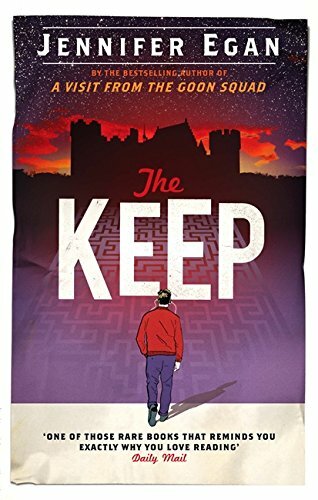 In Killer’s Payoff (US) Carella and Hawes take centre stage, the latter being keen to make amends for his blunder when he arrived at the 87th. It’s an case that will take him into the mountains to follow up Sy’s hunting habit and into the up-and-coming areas of the city that are being overwhelmed by property development. Best of all are the steps taken into the world of cheesecake – it’s a euphemism that was new to me and if you don’t, you’ll just have to read it to find out. Another great book that just makes me keen to read the next in the series. When we meet Annie Boone, she’s been shot to pieces in the liquor store in which she works. The place has been wrecked and smashed glass and alcohol fumes are Annie’s resting place. As the police investigate the murder, they discover that Annie is a woman of mystery. She had multiple personalities and each of them has a corresponding suspect to track down. The trail takes us through the creative world of the photographer, the seedy world of the pool hall, the stiff-upper lip of society, the boozy world of bars and broken-down musicians and to one of the finer department stores in the city. In each space, there’s a character who defines the habitat and a story that leaves more questions than it provides answers. Along the way, we lose a cop and we gain. Detective Roger Havilland meets his maker. He’s one of the real bulls in the detective pool, a man embittered by an early experience when he was trying to be kind. 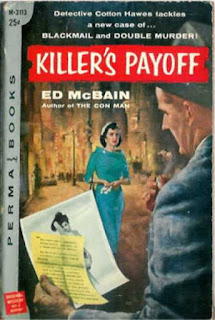 McBain disposes him with ruthless efficiency in many ways, but there’s a whiff of fondness for the guy in there as the back story creeps up on you. Enter the frame Cotton Hawes. Hawes comes from a different place altogether. He’s used to order and good citizenship, so the 87th comes as something of a shock. He is a man of good education, but clearly has a lot to learn when it comes to policing the inner city. He’s lucky in that respect as he’s partnered with Steve Carella. Carella, on the other hand, is not so fortunate. While investigating the murder of Havilland, there’s an incident that becomes the talk of the precinct and almost ends the partnership at the point of it beginning. 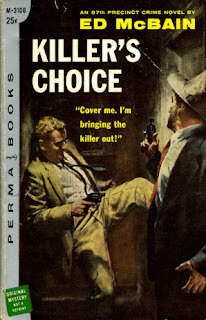 Killer’s Choice (US) is a cracker. The layers of our victim and of the city are slowly peeled away until the cases are brought to conclusion. The angles aren’t neat and Boone’s killer isn’t easy to spot, which makes the unpicking of the crime hugely satisfying. Throw in our new man Hawes and you have a police procedural to savour. We meet Driver in a mess of blood and bodies. What follows is the story of how he ended up in such a disaster in the first place and the journey he takes to try and stay out of trouble with the guys who are after him. Arcing back and forwards between the past and present is a complicated business for most of us. Thankfully, Sallis lays it out in a way that feels simple and means the strands fit together as smoothly as most of the rides Driver takes the along the way. We learn of Driver’s upbringing. The way he survived troubled waters to become a leading stunt driver and a getaway star for armed gangs. Dabbling with the criminal underworld soon becomes so lucrative that his day job loses its appeal. It also leads him into a life-or-death predicament when he ends up holding a large amount of cash that he shouldn’t have and doesn’t particularly want. The layers work really well with each other. They have an easy symbiosis that helps to deepen the interest and to make the protagonist more intriguing and sympathetic. 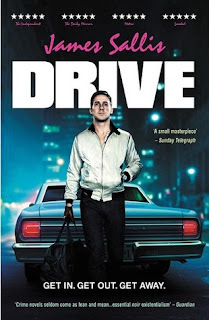 Driver, himself, is a fabulous character. He’s patient, talented, intelligent and loyal. He’s also ruthless and old-school and believes there should be honour among thieves. Keeping him company is a super cast – mobsters, writers, family and the old doctor who is able to put Driver together when he needs it. 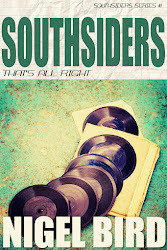 Short chapters and tight prose keep the book cruising along. There’s conflict and tension in abundance. 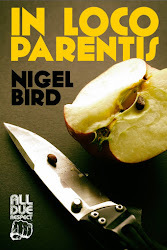 Backstory is a bonus rather than a millstone and the author has his usual poetic and profound moments as he creates phrases that can resonate and hit hard if you let them. Thoroughly enjoyed Drive (US) and I recommend it whether you’ve seen the movie or not. Where to start? Normally the beginning. Where the hell is the beginning of this one? I’m still puzzling over the structure and the layers and they way the pieces fit together, but it’s a welcome challenge rather than a chore. It’s one of those novels that keeps you guessing and uneasily on your toes from start to finish and then beyond its grave, so to speak. New Yorker, Danny, arrives at a European castle somewhere in the middle of nowhere. He’s travelling light in many ways, though his luggage includes a satellite dish so that he can keep in touch with what he considers to be the real world. The weight of his internal baggage is much heavier. He bears the scars of lost potential, broken relationships, of scrabbling through the social rules of the world and those created by his deep need to be loved. 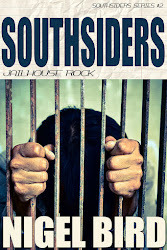 Though his new surroundings are like something from a fantasy, the bricks and history he is required to navigate are solid and concrete, more so than any text or blip on his social network radar. He’s been invited there by his cousin, Howie, for reasons that aren’t instantly clear. Howie is rich and powerful. He intends to turn the castle into a pure space for people to exist, discover their inner selves and explore their imagination once they’re freed from the manipulation and bombardment of modern cultural stimulus. He has a wife and family and a team of supporting individuals working for me, including a menacing number two. Their biggest problem getting is the woman who lives in the keep, an old baroness from a long line of land-owning aristocrats. She has the ghost like properties of being able to change in the eyes of her beholder and she insists that she’ll never leave her home. Danny begins to suspect that his role is to pacify the old lady and persuade her to leave. He also worries that Howie has darker intentions, given that he has every reason to want to mete out revenge for dark deeds of the past. As this plot twists and turns, there’s a sudden shift. This story is contained within another. The story in which it is contained has an impact upon the lives of others. Just when you think you know where you are, the ground shifts and the view changes completely. To elaborate would spoil the surprises, but each new angle carries its own tensions and thought-provoking material. What’s important is that each strand can both hold its own while being woven skilfully together as things development and that when they are brought together they increase in strength. On a simple level, I enjoyed being drawn in to this. It’s thrilling and engaging and haunting. At times it is uncomfortable, at others perplexing. At the end of it all, I was left with lots of questions. The good kind. Those relating to identity, to the human condition, to the pitfalls of contemporary life. I wanted to understand why the transitions felt so seamless; how the depth of characters were so effectively mined; and what the hell I’d missed along the way. I don’t have answers, but I’d be more than happy to haggle over them in the comments section if you feel inclined. Most importantly of all, I’d recommend you read the book. The Keep (US) really is a keeper, beyond a shadow of a doubt. I nodded. I had taken the suitcases from his closet and hidden them under my bed. 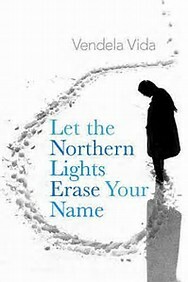 Let The Northern Lights Erase Your Name (US) is a gem of a book. It tells a complicated story in the simplest of ways. 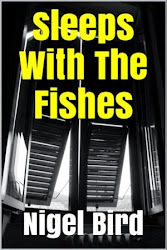 Told in the present tense in a first person narrative, the novel explores the inner workings of Clarissa Iverton who has just discovered that her dead father had no biological connection to her. She tells of her unusual upbringing and of the significant details of her early life. It is often in the tiny incidents that the most profound impact has been made. Clarissa sets off to find her real father, a journey that takes her to the extremes of northern Europe. In Lapland she’s a complete outsider, but that’s nothing new to her – she’s been an outsider for her entire life. Given the nature of her travels, I found it difficult to understand how the author managed to make the situations so compelling. But she did. Chapter headings were enticing. Stories were left unresolved until later reflections. The resolution of each drama led to a new conflict or need in Clarissa. I wanted her to find everything she needed along the way and the drive of that, in itself, was crucial. This one is spellbinding. I felt moved on many occasions and now I’m wondering if I should let my fourteen year old daughter into the secrets it holds (there is some adult material I’m not sure she’s ready for, but in all likelihood she probably is). I reckon if I can persuade her to go along, the power of the read will stick with her forever. If it goes to plan, I’ll hold it in reserve for my other kids when the time is right. One slight niggle for me is the final chapter. In some ways the ending didn’t seem to fit. In others, it was perfect and was everything I wanted it to be. Which is why this is perfect book group material – if you take it on, invite me along – I’d love to know how you found the climax.